I always thought this painting would make a great rock concert poster. 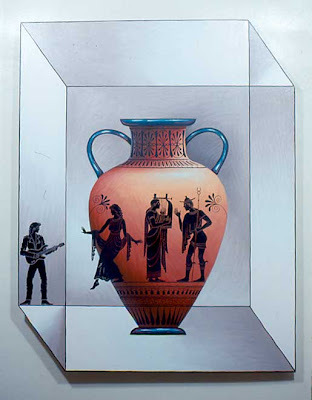 I used the images of the leather jacketed rocker and the classical lyre player on a 10 foot tall guitar sculpture. I am currently repainting the whole composition for the second time.